그동안 국내에서 유통만 되어왔던 호로요이. 국내 지사인 빔산토리 코리아의 설립과 함께 국내 브랜드 인지도 및 RTD 점유율을 끌어올리기 위한 대대적인 런칭 캠페인을 기획하게 되었습니다. 캠페인의 목표는 메인 타겟인 싱글 직장인 여성들에게서 브랜드 친밀도 및 음용을 증가시키는 것과 호로요이가 특별한 경우에 먹는 술 (일본 여행 중, 여행 기념품으로 먹는 술)이라는 인식을 일상에서 자연스럽게 접할 수 있는 주류라는 인식으로 바꾸는 것이었습니다. 먼저 첫 번째 목표를 달성하기 위해서는 타겟이 ‘노는 것에마저 지쳐있다’는 인사이트에 착안해 ‘오늘은 쉽니다’라는 캠페인 슬로건을 개발하여 20대 싱글 직장인 여성들이 일상적으로 겪을 수 있는 상황을 토대로 3편의 캠페인 영상을 제작하였습니다. 영상 상영 시 코어 타겟에서의 확산을 최대화하기 위해 CATV 및 디지털 채널을 활용하였습니다. 또한 ‘호로요이’라는 제품명에 대한 정확하지 않은 명칭이 혼재되어 사용되는 상황에서 두 번째 목표 달성을 위해 ‘가법게 호로록, 호로요이’ 라는 제품 슬로건을 개발 및 활용하였습니다. 이후 핵심 타겟과의 접점을 확대하기 위해 SNS 내 인지도가 높은 일러스트 작가와 함께 일상에서 호로요이를 즐기는 타겟을 표현한 일러스트를 활용하여 타겟의 연말 필수 아이템인 ‘호로요이 캘린더’를 제작하고, 호로요이 캘린더, 전용잔, 미니캔들로 ‘혼쉼템’을 구성하여 싱글 여성이 자주 방문하는 유통 채널인 텐바이텐에서 이벤트를 진행하였습니다. 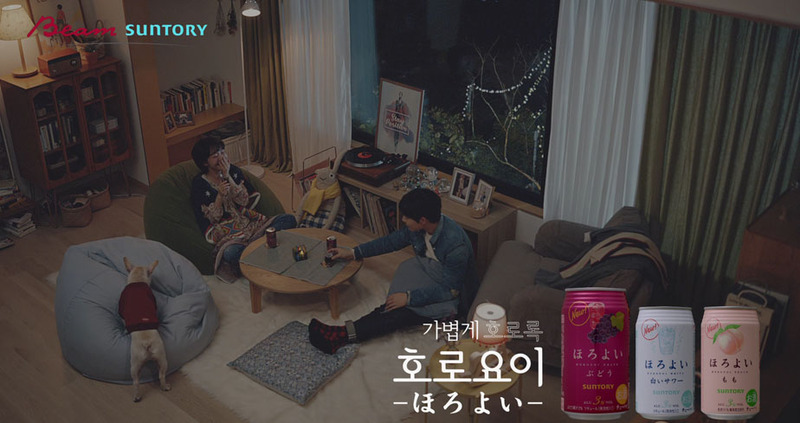 As Beam Suntory Korea was founded in South Korea, HOROYOI could finally officially launch in Korea. Accordingly, we executed its launching campaign in order to raise the brand awareness and increase the RTD share. There were two objectives for the campaign: first, to raise brand familiarity and consumption throughout the main target, single working women, and second, to change the recognition of HOROYOI as a drink for special occasion (during trip to Japan or as a souvenir from Japan) to a drink to consume in any daily life occasions. In order to achieve the first objective, we developed the campaign slogan, ‘Let’s Just Rest Today’, based on the insight that the target is frustrated at even taking a ‘proper’ break & produced 3 campaign films featuring daily life occasions of single working women at their 20s. We utilized CATV and digital channels in order to maximize the distribution of the film. 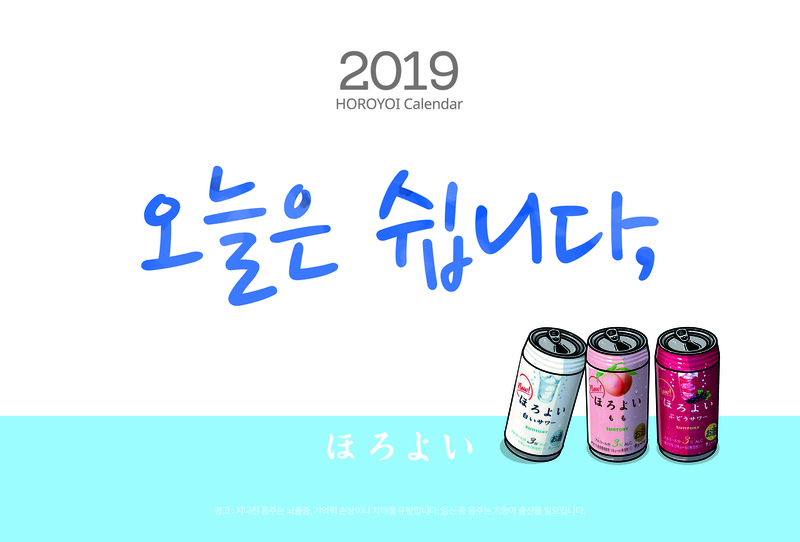 For the second objective, we developed the product slogan, ‘A light HOROROK*, HOROYOI’, considering that many of the consumers are not fully aware of the accurate name of the product. 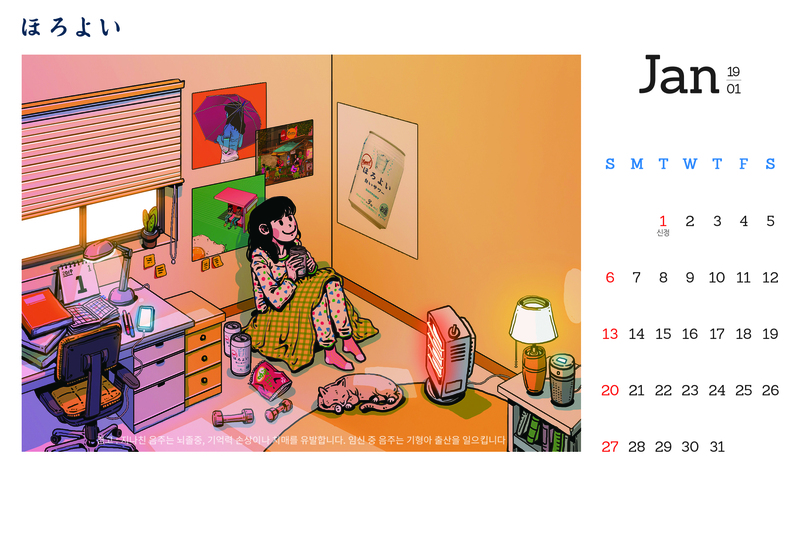 Afterwards, we collaborated with an illustrator who is famous at social media to produce ‘HOROYOI calendar’ that is required to the target in year-end season, containing illustrations featuring the target enjoying HOROYOI in their daily life occasions. We also executed an event at 10×10, a distribution channel frequently visited by single women, with the ‘Items for Rest in Single Life’ package including HOROYOI calendar, a brand exclusive glass, and a mini candle.